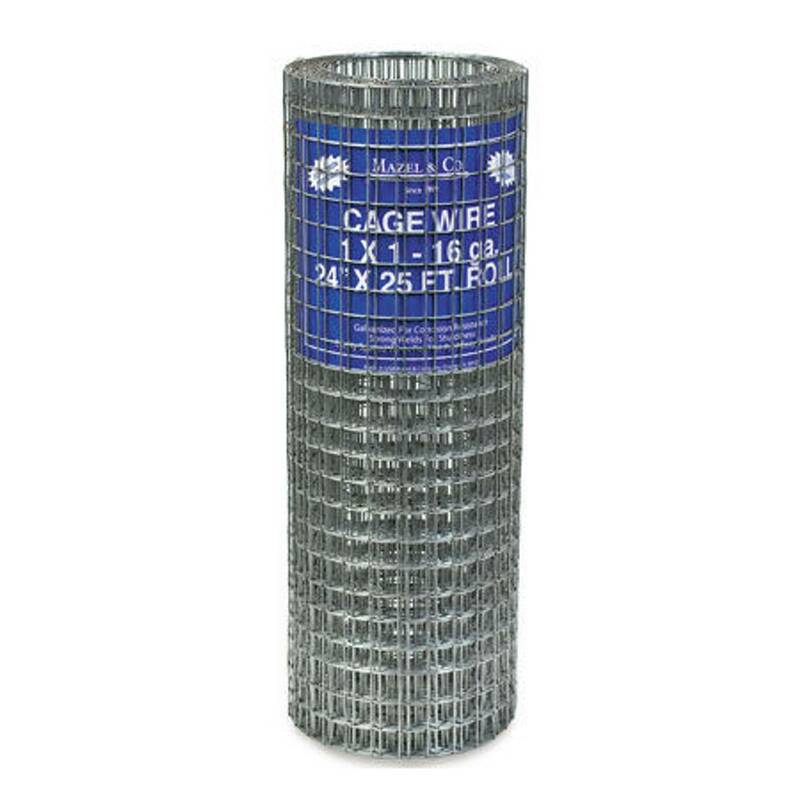 If the floors of a wire cage are 1/2"x1" 14 gauge GAW wire, is there a problem with the sides and top being made out of 1" poultry netting (chicken wire)? I've seen a couple of disparaging remarks about losing kits through chicken wire, but I'm guessing that is the 2" kind. The alternative to chicken wire I'm looking at is 1" x 2" 16 gauge GAW, with either babysavers or urine guards. Galvanized chicken wire is about a quarter the price, though. Does anyone here use chicken wire for sides and top? If you do, how does it work for you? Chicken wire just does not hold up. Try this. https://d2ul0w83gls0j4.cloudfront.net/p ... 608156.jpg. You have to have some sort of store out by you like Farm and Fleet. I would not use chicken wire under any circumstances. It is just not strong enough. Even 1" x 2" welded wire is not ideal. Rats, weasels and snakes can all get through it easily, so unless your cages are in the house, you may be putting your rabbits at risk, especially kits. I know welded wire is more expensive, but better a few rabbits properly housed than a bunch of them at risk. That's exactly what I needed to know. No chicken wire for me. I'll be using 18" GAW Babysaver (1" x 2" with 1/2" x 1" on the bottom 4 inches) 14 gauge for the sides, and 1 x 2 x 24 for the tops.